Anyone who's been in hospital will know how long nurses spend taking hourly measurements for blood pressure, and much more besides. If a hospital could put a wearable device on each patient to automate the process, the time saved would be enormous – and that's just the beginning of how the Internet of Things (IoT) promises to change healthcare. Over the next five years the traditional 'doctor-patient' model will completely open up as self-monitoring devices do away with the need for routine check-ups and appointments, and IoT sensors in our homes and on our bodies increasingly allow us to look after ourselves. 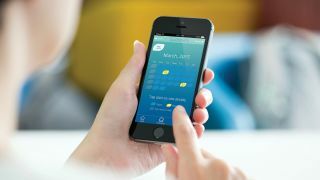 "The opportunities for connected devices to revolutionise healthcare are vast, and many go beyond individual doctor to patient relationships," says Nick Braund of the Technology & Innovation team at tech agency PHA Media. Its 'bionic doctor' project picked out gadgets including the Dario smart glucose meter, the Tricella Liif Pillbox, the Pancreum Genesis wearable pancreas and the Lechal vibrating navigational shoes for the blind as IoT products at the forefront of a new era of digital health. Chimaera is a surgical tool that creates a real-time 3D image of the area to be operated on, so surgeons can more easily either target or avoid specific nerves or blood vessels, and follow a pre-determined 'safe route' during the operation. Using a screen nearby, the real-time view from Chimaera is superimposed on this operative plan on a screen, so the surgeon knows his precise location in the body. "Identifying and locating critical structures, such as nerves or blood vessels – to either avoid or target them – is a vital part of surgical skill," says Simon Karger, head of surgical and interventional products at Cambridge Consultants. "But today's tools are largely passive, offering surgeons little support in this regard. Our Chimaera surgical concept delivers advanced sensing technology into the hands of the surgeon – giving them real-time, intra-operative feedback." Welcome to DIY healthcare, which won't be just an option, but a necessity in countries with ageing populations. What started with tracking personal fitness via smart bands will soon lead to gadgets that monitor pre-existing medical conditions, which will save time by replacing routine hospital appointments. One example is an IoT home diagnostics concept called Flow Health Hub from Cambridge Consultants, a bedside unit that can take samples and quickly give measurements for cholesterol, diabetes, and blood pressure. It can automatically alert the patient's doctor if medical help is required. There appears to be a real support for this kind of healthcare at home, with 72% of British adults believing that technologies in the home to monitor health would take the pressure off patients and the NHS, according to research in May 2015 by Arqiva and YouGov. A staggering 91% of people said they would be prepared to monitor basic vitals from a given list – such as blood pressure (72%), heart rate (65%) and weight (88%) – at home. All of that could be done using IoT devices.